Embers at Dawn is out on trade paperback. You can buy it at my CreateSpace store (use discount code HKYX49PQ to chop 20% off the price – the offer lasts ’till the end of the month) or find it on amazon. Kindle version is just around the corner. As y’all can see: it’s been approved by genuine crazy cats. 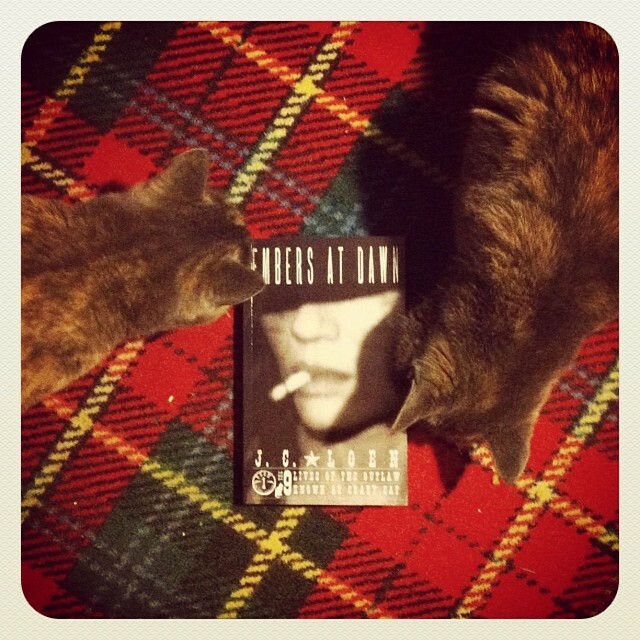 This entry was tagged "9 lives", "embers at dawn", action, book, Crazy Cat, CreateSpace, gritty, historical fiction, JC Loen, novel, outlaw, paperback, the 9 lives of the outlaw known as crazy cat, trade paperback, western. Bookmark the permalink.